Tagline: A perfect Christmas in twenty-four hours? What could possibly go wrong…or unexpectedly go right? 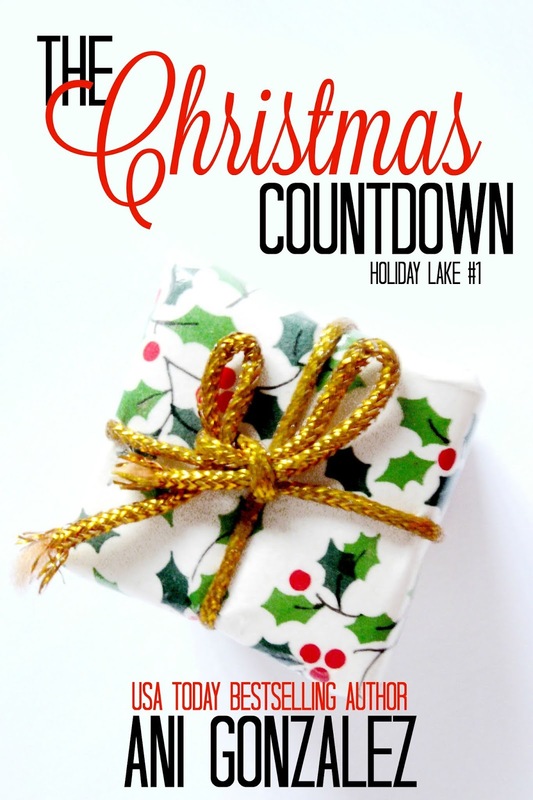 For the residents of Holiday Lake, Minnesota, there is no such thing as too much Christmas cheer. The tiny town prides itself on celebrating the holiday every day of the year and their halls are decked with boughs of holly all year round. Yet this December twenty-third, professional holiday decorator Nat Quinn, known as "The Christmas Queen”, has had enough. After a hectic year helping clients set up the absolutely-perfect-to-the-last-detail backdrops for the festive season, she is ready to relax. That’s when divorced billionaire and workaholic Cyrus Blackstone makes a proposal she can’t turn down: Provide the perfect holiday for his children in exchange for the beach vacation of her dreams. A perfect Christmas in twenty-four hours? That’s a tall order, even for the Queen of Christmas and her team in Holiday Lake. As Nat races to fulfill her assignment, she realizes that the real challenge isn't the tinsel and pudding... it’s not falling in love. satisfied. That was one action item taken care of. and a glass. A perfect Christmas with his kids. This was worth celebrating. kids on the plane. Everything else would be taken care of. her, like a weight had fallen off his back. slouchy sweater and Ugg boots type. excited. Is she going to do it?" Cyrus replied. "Did you have any doubts?" and bottomless margaritas," he replied. kids. They were the point of her job, after all. know about this Nat Quinn, Leah?" He asked. my thing, so it takes quite a lot to wow me." London. She was notoriously hard to impress. At least he wasn't demanding rare Christmas lights and antique ornaments. Ms.
Quinn was likely relieved about that. this world. You can use it as a sandwich spread for the leftovers too." dreamy as she described the food. but it is delicious. Absolutely worth being housebound afterwards." back for the food?" Cyrus asked, swirling the amber liquid in his glass. place closed though, which is a pity." hope Ms. Quinn can whip us something similar despite the time constraints. raised a brow. "Who's Noah?" across her cheeks. "No one. I'll, er, go check on the kids now." of the family. Yet he'd never seen her blush, not once. be a lot more interesting than he'd expected. truck grinning widely while his sister made bunny ears behind his head. Hot", seemingly oblivious to the double entendre. punctuated with a dozen exclamation marks. was quite efficient, a woman after his own heart. Christmas Queen motto and a mistletoe crown logo. gravy consistency. She had done sets for holiday movies. Christmas Delight Candle was their all-time best-seller. things one could be remembered for. Carol of the Bells, if he was not mistaken. who had pop-up music on her website. several pictures of lavishly decorated houses. holiday party with eight reindeer. twinkling lights and a giant Black Forest cake replica in front. Christmas carol concert tomorrow night. The kids would enjoy that. farm had sold eight hundred and twenty-two trees. could not find what he was looking for. of herself on her website. No selfies on her social media. Nothing. him to the tree seller's website. unhappy-looking antlered Chihuahua. And she was single. smiling. Nat Quinn was adorable. choice for this job. Even the single part. Not that he cared, of course, not personally. It just left her free to concentrate on the job. There were no trees left. what the Christmas Queen would do. 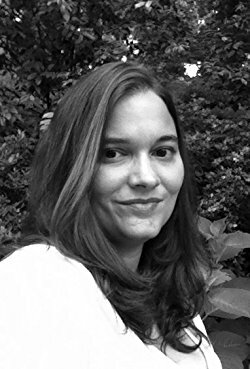 Ani Gonzalez is a USA Today bestselling author of holiday-themed romantic comedy and cozy mystery stories set in Banshee Creek, Virginia (The Most Haunted Town in the USA!) and Holiday Lake, Minnesota (Where Every Day is Christmas!). Her books feature feisty, irrepressible heroines dealing with holiday mayhem, paranormal critters (ghosts, cryptids, pagan gods...the sky's the limit) and mysteries. They find love and laughter (and sometimes corpses) along the way, and readers get to follow them every step. I generally know where we are going, but they get there in unexpected ways. It’s very similar to my car’s gps system. I always get where I wanted to go, but sometimes it takes longer and there’s often a back road or two involved. It’s a madcap romantic caper with a workaholic event planner heroine, a cluelessly adorable hero, a crazy Christmas town, a ticking clock, and the country’s funniest Christmas radio station. 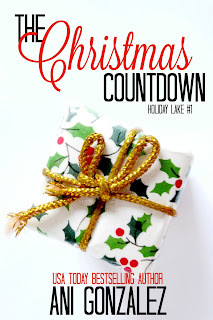 There’s no Christmas quite like Christmas at Holiday Lake. I’m working on the next book in my Witches of Main Street series and the next Drop Dead Witchy book. They are both beach reads, so they won’t be published until next summer. Yes, I wrote my Christmas book over the summer and am writing my beach books in December. That’s just how publishing works. I write on the computer, but outline on pen and paper. I also resort to pen and paper when I find myself stuck. I find the computer is more conducive to disciplined writing and pen and paper loosens the creative side. Love the cover and the excerpt. I love the blurb. Sounds like a great book.